On the night of Saturday 27th October the Lakeland Festival of Light event team are hosting their first ever ‘special’. Traditionally the event takes place in May on Catbells and sees attendance from several hundred people, however this event aims to recreate the same visual spectacle with just a few dozen fundraisers. The venue of choice is to be Fleetwith Pike, with the leading line of Fleetwith Edge being the main focus for the procession of lights. The event team comprises of professional photographers Nick Landells, Harry Baker, Carmen Norman and Tom Mcnally, as well as local outdoor instructor and business owner Matt Le Voi. Matt Le Voi said ‘In just a few years we’ve raised over £40,000 for various charities through the Lakeland Festival of Light series. Each year we’re blown away with the amount of people that want to attend the events and creatively we are always thinking of new ways to create a spectacle. Artistically Fleetwith Pike will be an amazing mountain to photograph for the team and I can’t wait to see the outcome’. These events are 100% not for profit and the chosen beneficiary of this event will be Cumbria Youth Alliance (CYA). CYA have a clear and simple mission statement, to ‘work with and for young people in Cumbria to help them reach their full potential’. ‘It’s great to be able to support a local charity in terms of providing not only funds for their projects but to also provide some exposure for their great work’ commented Matt Le Voi. More information about Cumbria Youth Alliance can be found at www.cya.org.uk. 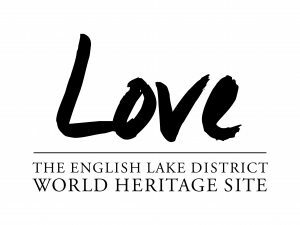 The Lakeland Festival of Light team are collaborating with Honister Slate Mine on this event and the mine have kindly donated their car park as a launch location for the event. Should you want to join this event you do need to register by emailing ‘lakelandfestivaloflight@outlook.com’. Each person is asked to donate around £25 to the charity in order to attend and they must come fully prepared for standing around on a cold fell for an hour or so.